Field Company is an online kitchen company focusing on the revered cast iron pan. The Field Skillet ($125-$160) is surprisingly lightweight and has a smooth cooking surface - just like the vintage pans the founders' family has been using for decades. It's a sturdy and dependable, albeit a little pricey, piece of cast iron that home cooks won't be able to resist using for dinner to dessert. Like a beautiful ring or a photo album, the cast iron pan is often a coveted heirloom that passes through the hands of many owners. Kitchen designs, recipes, and tastes may change, but one thing remains the same: our faith in this reliable and versatile piece of cookware. The proud owners of several vintage cast iron pans passed down from their grandmother, Stephen and Chris Muscarella couldn't help but compare their look and performance to that of modern models. Their company, Field Company, reads simultaneously like a nostalgic love letter to the time-honored virtues of cast iron and an ambitious challenge against its inconveniences. 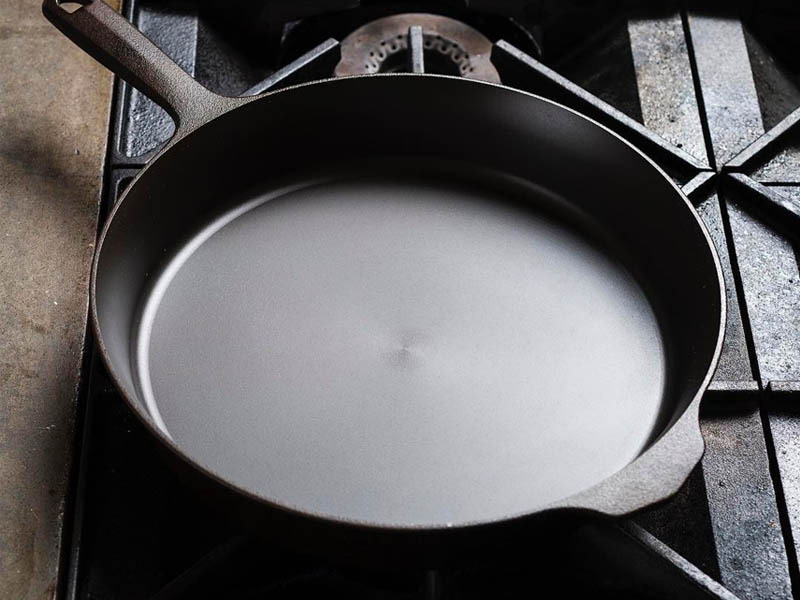 They raised $1.6 million on Kickstarter for their Field Skillet, a "Lighter, Smoother Cast Iron," which, with "light" and "cast iron" in the same name, sounds like a bundle of contradictions right off the bat. 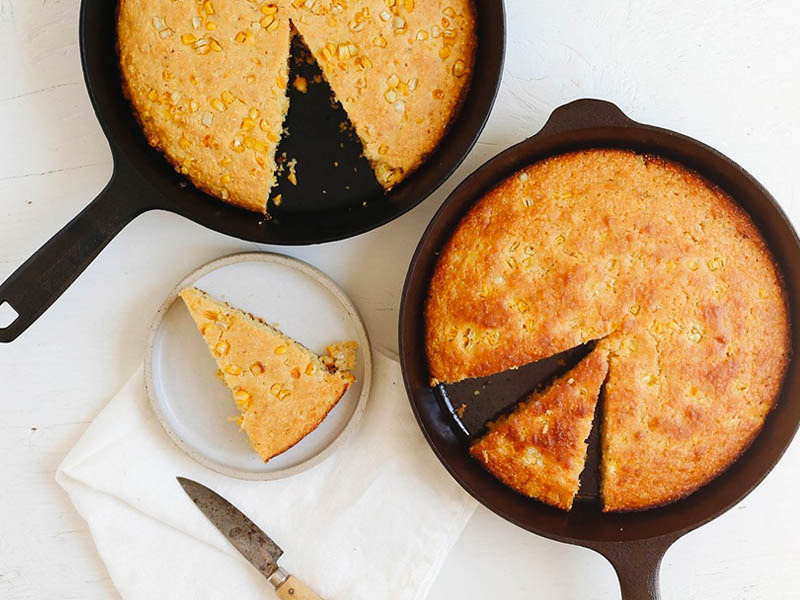 But from instant cameras to record players, vintage with a modern twist is on the rise, and the Field Skillet is just the piece of cookware to fulfill that connection to the past. My first impression as I took the pan out of the box was that it was indeed light. 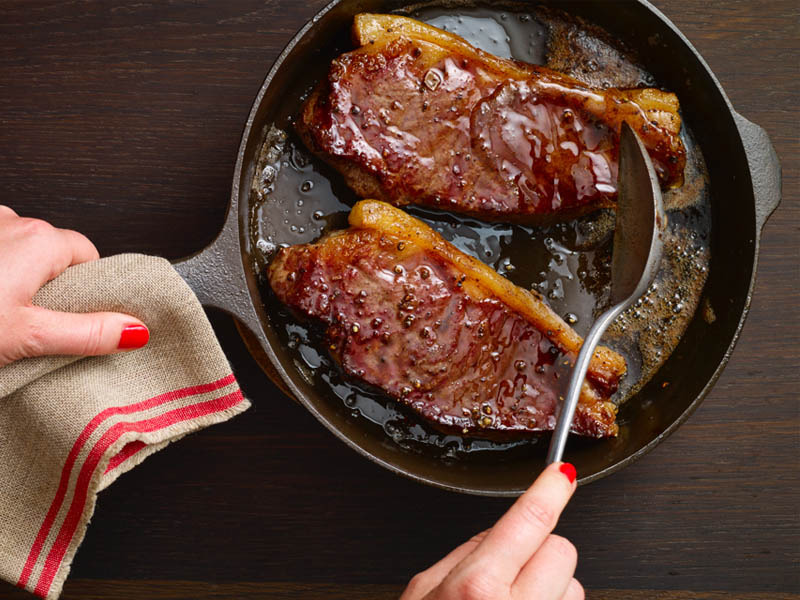 While it's not usually easy to casually lift a cast iron pan with one hand, doing so with the Field Skillet (the No. 8 weighs 4.5 pounds, and the No. 10 weighs six pounds) is a more comfortable endeavor and doesn't run the risk of half your dinner landing on the floor. The other immediate difference, which is part of the reason why it's light, is that the cooking surface is machined and polished, not rough and pebbled from the residual sand of the molding process. The smooth surface is much nicer to cook on, plus it comes pre-seasoned with two coats of grapeseed oil, so it's ready to cook with right away and you have a head start in building up layers of seasoning. The pan wasn't as non-stick as I would've hoped from its first use, but with subsequent use and seasoning, it did quickly reach that satisfying point where you could fly through the process of cooking anything from cornbread to a whole bird with no worries. True to cast iron form, it had great heat retention and distribution, giving a crispy sear to meats and fish skins. Even the most simple assortment of vegetables tasted much better thanks to the combination of strong, consistent heat and the history of past dishes cooked in the pan. The homage to vintage - including the flat bottom and heat ring - is clear in the design of the pan, but you're reminded it's a cast iron of this century. Field Company is eco-friendly by using 75% to 90% recycled iron, and it emphasizes that the pans are made in the US. 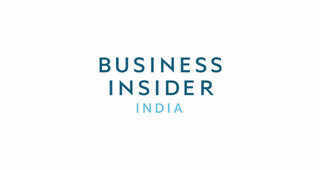 Like many online start-ups, it tries to give you an experience, not just a product. It offers seasoning and care instructions in the box and online, as well as online support in case you have trouble with your pan. On- and offline, you'll hear numerous "correct" ways to season and take care of cast iron pans, so if you're new to the material and a little intimidated, Field Company can make you feel more confident about joining the cult of cast iron. The pans currently come in two sizes. The No. 8 ($125), which should suit your everyday cooking tasks, has an 8.75-inch cooking surface and 10.25-inch top diameter, while the No. 10 ($160), great for large meals, has a 9.75-inch cooking surface and 11.625-inch top diameter. Without a doubt, they're more expensive than popular cast iron models, but this could be an apples-to-oranges comparison since popular models are thick, heavy and have a rough surface, while the Field Skillet is thin, lightweight and polished. It's not easy to find vintage cast iron online anymore, and Field Company's approachable and well-made pan is surely the one to fill the gap.